With farmer's market season in full swing, I'm doing all that I can to snap up as much produce as possible. 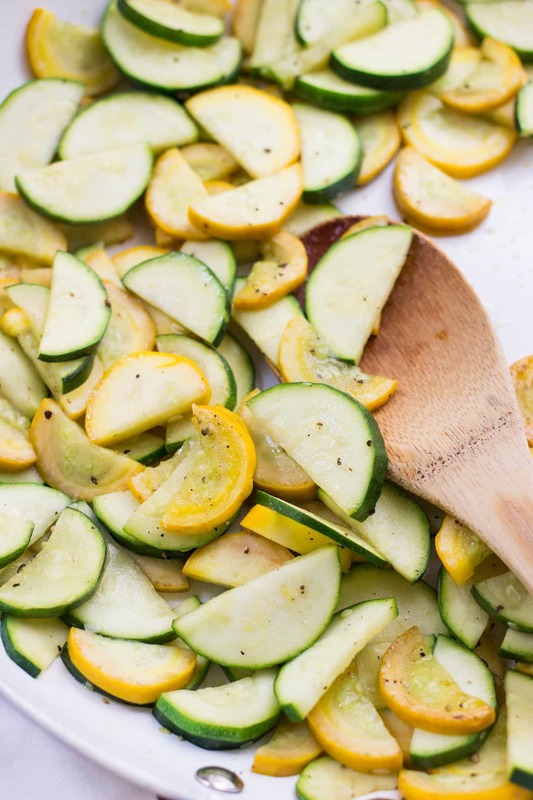 One of my favorites right now is summer squash/zucchini. 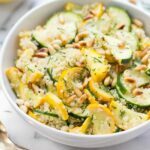 I'm hooked on making zucchini noodles, especially my pesto zucchini noodles and zucchini noodle pad thai, but I've also just been adding them raw to my salads. It's a nice alternative to cucumber. 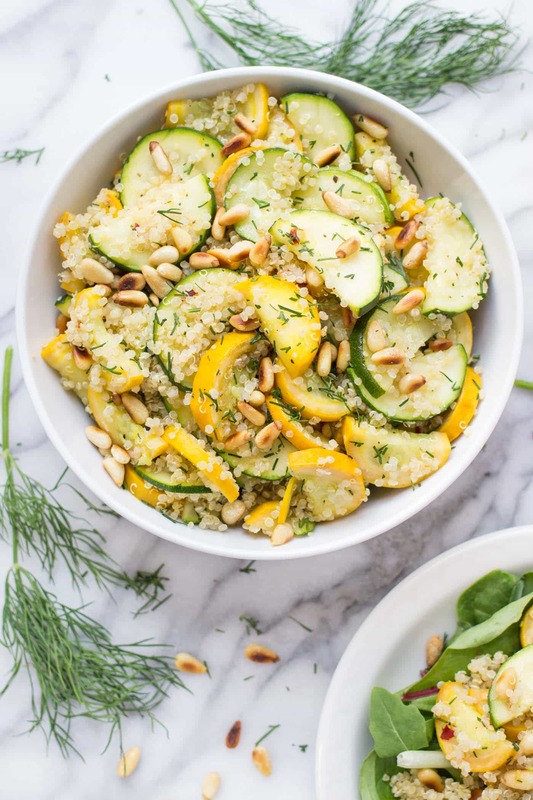 Now I say “/” because summer squash and zucchini are kind of the same vegetable as far as taste goes, but I love the contrast between the yellow and green, which is why I tend to buy both of them. 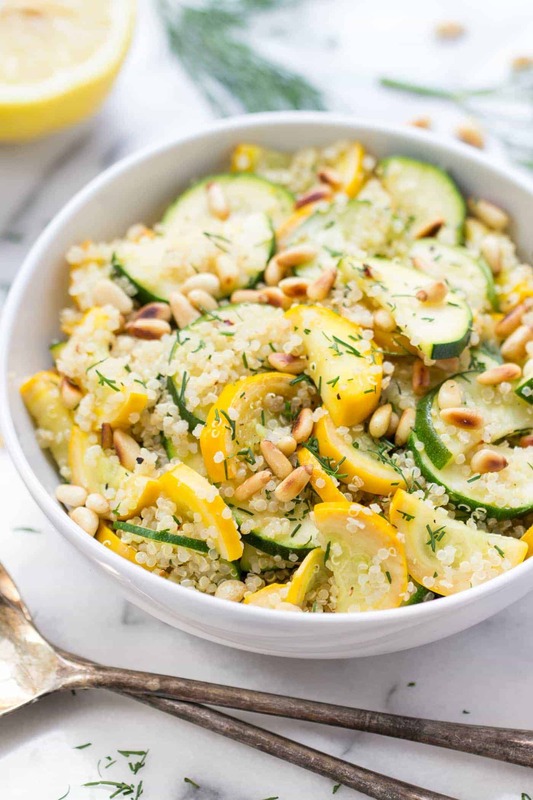 Today I've tossed these two veggies into this quick summer squash and zucchini quinoa salad, which is an absolute breeze to whip up and perfect for summer. 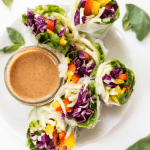 This recipe requires just 10 ingredients and comes together in less than 15 minutes! 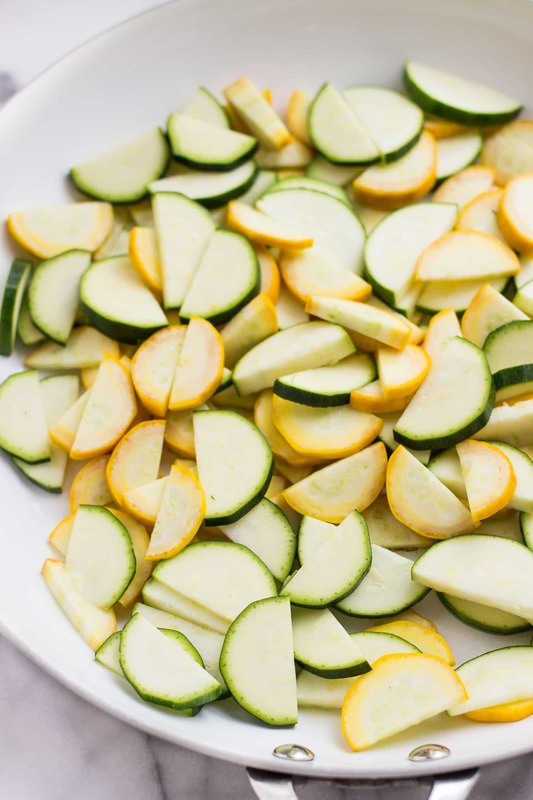 You start by chopping up your squash and zucchini (I did mine in half circles) and giving them a quick sauté in some olive oil, salt and pepper. Once the veggies have softened slightly, you add your quinoa and cook it for just a few seconds more until everything is warm. Then it's time for the dressing. I knew going in I wanted the dressing to be lemony, but I also wanted it to have a bold flavor, so instead of just squeezing in lemon juice and mixing in my other ingredients, I actually added some lemon zest too. 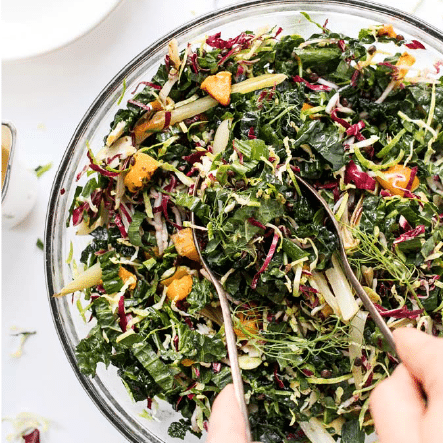 By adding the zest, we're really able to amp up the flavor and add in that bright, happy feel that lemon seems to bring to meals. Along with the lemon, it's just some chopped dill, red pepper flakes for a little heat and a touch more salt. To round the whole salad out, we're adding in some toasted pine nuts which give it a nice nutty flavor and some much needed crunch. 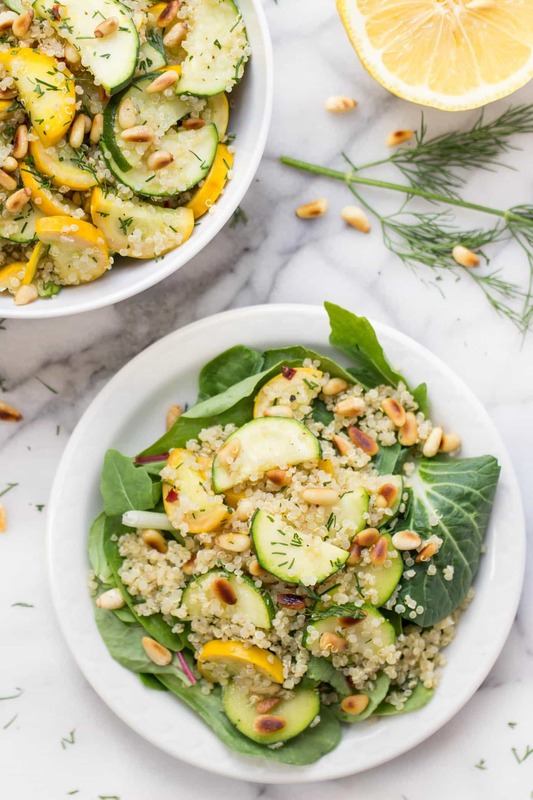 In addition to the boost in texture and flavor you get, the pine nuts also add a ton of nutritional value to the salad. Not only are they high in vitamins A, C and D, but pine nuts are also filled with healthy fats and protein which will help to fill you up faster and make the entire more satisfying. Then it's just time to dig in and enjoy! 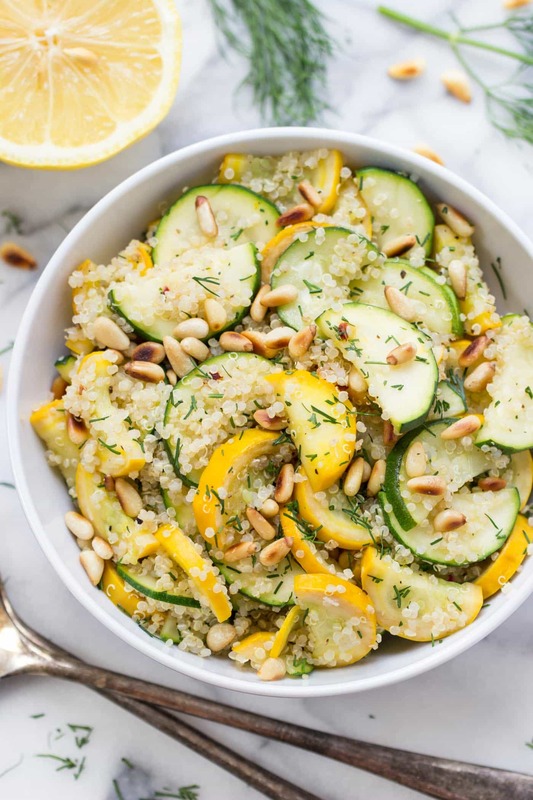 In a large skillet over medium heat, saute the squash and in zucchini in the olive oil until almost tender, about 3 - 4 minutes. Season with salt and pepper. Add quinoa to the skillet and cook for another minute or so until everything is warm. Whisk together the lemon juice, zest, dill and red pepper flakes in a small bowl. Either transfer this mixture to a bowl or leave in the skillet and add the dressing and pine nuts. Toss to combine, taste and adjust salt and pepper as needed. Serve warm or cool in the fridge for 30 minutes. 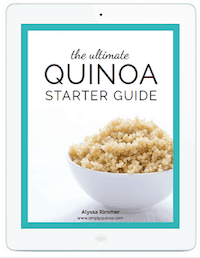 Want more quinoa salad recipes? This looks amazing!! 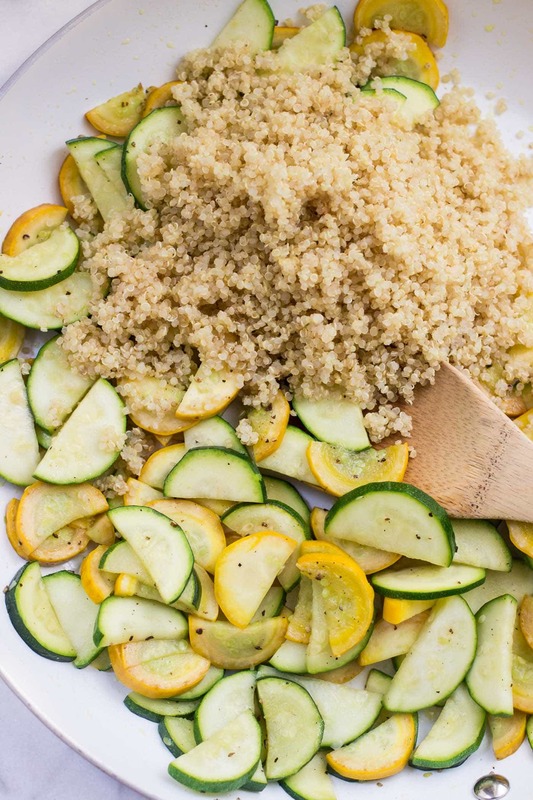 I love squash and quinoa, what a perfect salad! This recipe over cooked the quinoa, making it pretty mushy. Even if you don’t mind that, I did not like the inclusion of the red pepper flakes, although I am usually a fan. It did not contrast well with the other flavors. Also, be careful that you do not put into much lemon, as it can be quite overpowering. 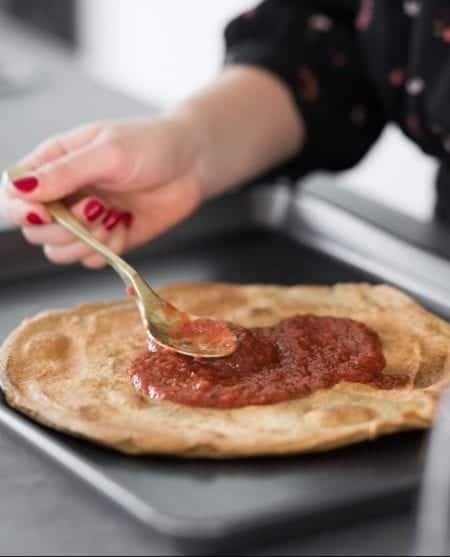 Great recipe and super easy to make !! It’s delicious warm, not sure it will last long enough for it to get cold! 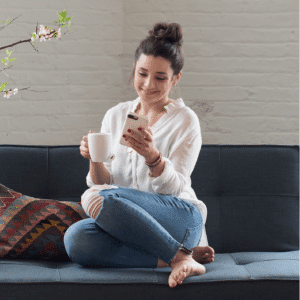 Wow – it’s even better cold! GORGEOUS SALAD! 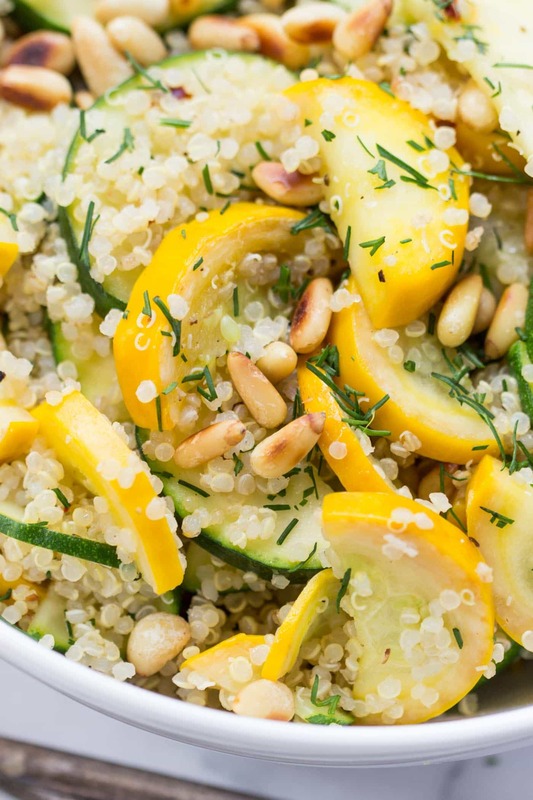 I love quinoa in a fresh summer salad. Zucchinis happen to be my favorite vegetable too! Oooh I love that you added fresh dill! My mom has a ton of dill in her garden and the smell always makes me happy. I’m definitely taking advantage of summer produce, too – zucchini and watermelon every week, haha! YES! Fresh dill is the best. And I’m also hopping on the watermelon train! Just made some watermelon lime spritzers that are going up on Sunday and have TONS of leftover juice. SOOO happy!